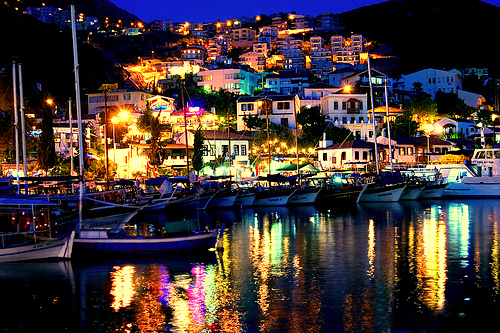 Kaş is a fishing, yachting and tourist town, and a district of Antalya Province of Turkey, 168km west of the city of Antalya. As a tourist town it is relatively unspoiled. Kaş itself is a quiet pleasant town with its blue sea and narrow streets scented with jasmine flowers. There are plenty of little guest houses, quiet cafes serving home cooking, or small bars to relax after a day's scuba diving. 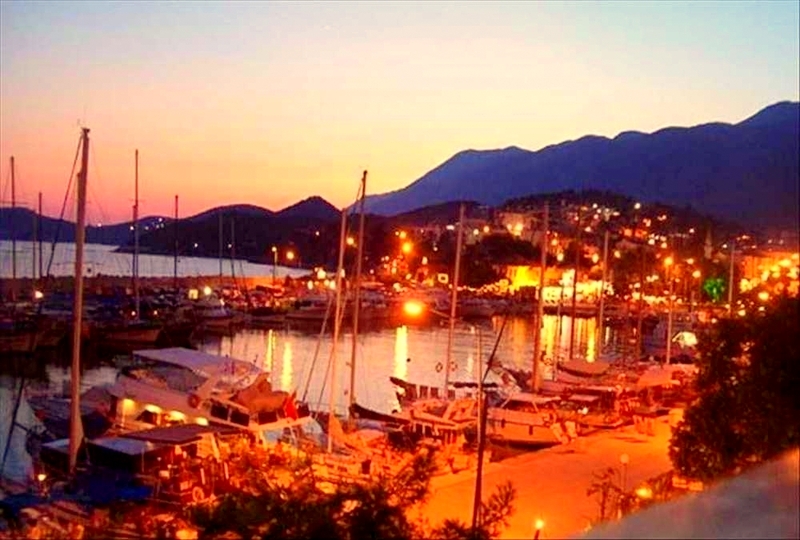 Kaş has an annual arts festival, jazz concerts in the Roman amphitheatre and the Kiln Under the Sea arts collective have held underwater ceramics exhibitions here. 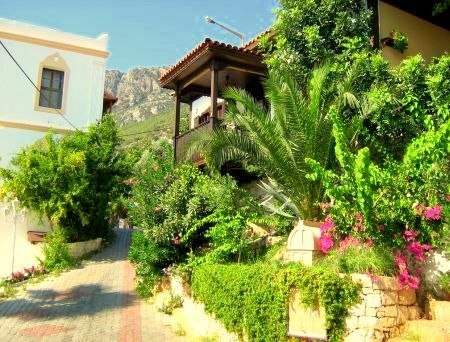 The town of Kaş has a Roman amphitheatre and many other places of historical interest; and it has spots of natural beauty, including excellent beaches, and a number of interesting caves, some of them underwater. The mountains behind the coast offer countless places for trekking, climbing and river rafting.